in	New Artwork	on Nov 07, 2018 . Dog gone it, I love animals! I'll scream it on the rooftops! My entire life I've been an animal lover. Dogs, cats, horses, pigs, chickens, and yes, even the commonly feared snake. I really do adore them all. So naturally painting animals is one of my passions and specialities. Some of my favorite projects have been capturing someones furry (or scaly. I said I like snakes) companion. This little nugget is Ozzie the aussie doodle. Aussie likes long walks at sunset, belly rubs, and making new friends. 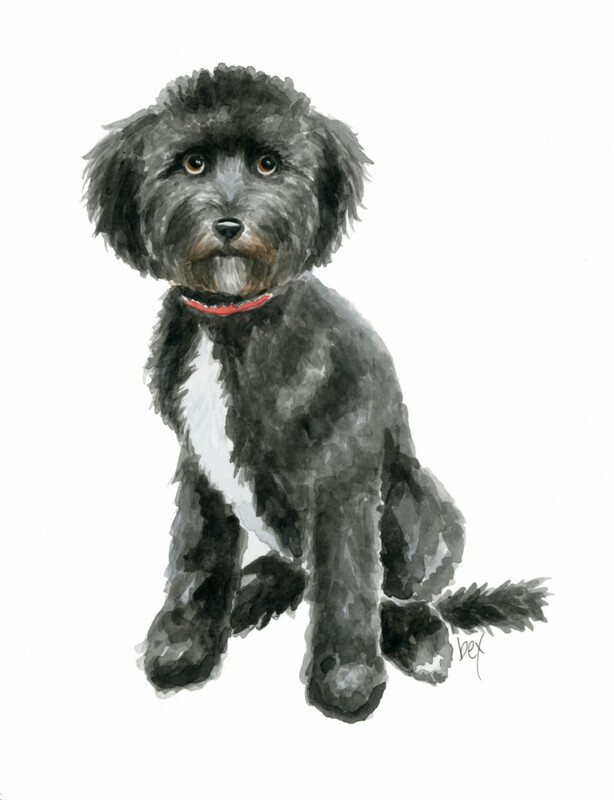 Does your furry friend need they own portrait as well? Commission me to paint them as a whimsical watercolor illustration or a refined oil painting! 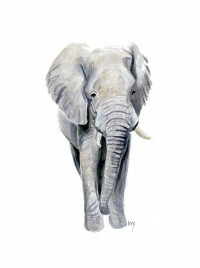 Who doesn't love a nice elephant painting? These majestic creatures are always a fun subject to pain.. The past couple weeks of my life have been insane. From getting a random flu thing to having a milli..